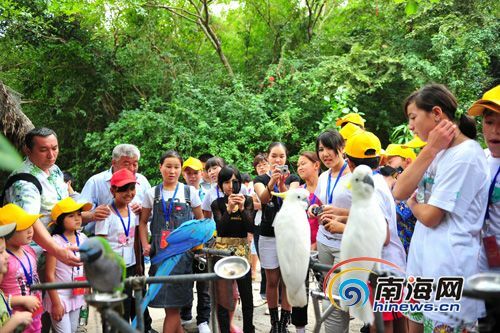 In the morning of Nov 5th, 50 Kyrgyzstan children entered Butterfly Valley for sightseeing in Yanglong Bay, Sanya. In the paradise-like site, the children forgot their trauma brought by the violent riots which occurred in June of this year in Kyrgyzstan, and enjoyed the scenery landscape. They talked with lovely animals in the valley and couldn’t help from taking pictures with them. 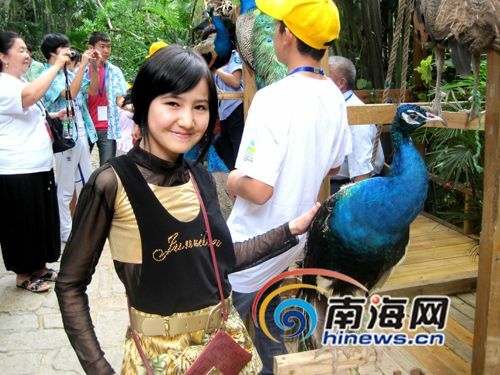 Those Kyrgyzstan children arrived in Sanya on Nov 29th for medical rehabilitation which will last 13 days. They will receive Chinese medical rehabilitation including acupuncture treatment, massage and medicated baths. Apart from these, they will also undertake a series of adjuvant therapy including sightseeing, learning and psychological guidance. To make their subsequent travel more enjoyable, director of the Sanya Chinese Medical Hospital, Liu Dexi, gave a living allowance of RMB 200 to each children on behalf of the Sanya Government.